The Vikings will face their biggest test of the preseason as they square off with the Dallas Cowboys at AT&T Stadium on Saturday. Daniel House previews the matchup and gives you five areas to focus on. The Vikings will face their biggest test of the preseason as they square off with the Dallas Cowboys at AT&T Stadium on Saturday. Dallas was a top-five offensive team last year and they have an offensive line that will test the Vikings' defensive front. The third exhibition game is important for both teams as they prepare to open the regular season. In fact, the starters could play into the second half of this contest. The depth chart will start to narrow and this will be the final chance for some players to showcase themselves as the roster is trimmed to 75 players next Tuesday. A matchup with a quality Dallas opponent in the third preseason game is an excellent way to evaluate where this team currently sits as they prepare for the regular season. Early in the preseason, the Vikings haven't faced an offensive line with as much talent as the Dallas Cowboys. With that being said, it will be important to see how well the Vikings defense can defend the run. The Cowboys have several road graders that are excellent at getting into the second level of the defense. As a defensive unit, the Vikings have struggled over the past few seasons to stop the run consistently. In practice, the coaches have placed a heavy emphasis on defending the run as a defensive front. Thus far in the preseason, the run defense has looked average, but this will be their first major test of the exhibition slate. It will also be important to see how young pass rushers like Danielle Hunter and Scott Crichton handle the rotation into the defensive line. As a whole, this will be an excellent test for the Vikings pass rush against one of the best offensive line groups in the league. This week, Mike Zimmer announced Gerald Hodges will start at middle linebacker for the Vikings. Hodges will see the snaps this week and if he perform well, Zimmer didn't rule out the chance he could be the week one starter when the regular season begins. It's almost as if the coaches strategically picked this game as Hodges' test. Against a solid offensive line, Hodges will need to show he can handle the downhill run defending responsibilities. Not to mention, he will be tested in coverage by a plethora of different offensive weapons. Hodges has been all over the field in the preseason and the coaches are playing him at middle linebacker to keep his athleticism in the lineup. It's unclear how much the starters will play in this game, but it could be close to a half of football. The offense needs to be placed in some more situational work before the regular season begins. 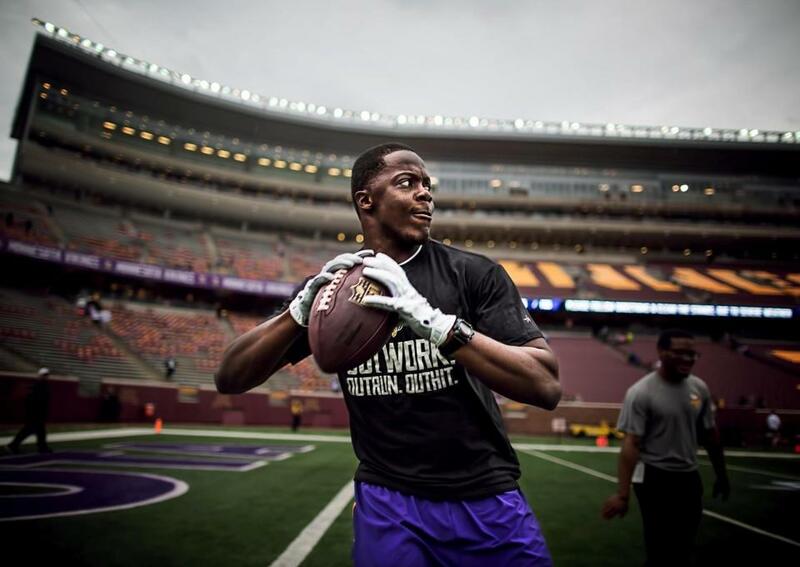 Teddy Bridgewater said this week that it would be nice to get some two-minute situations in this game. As an offense, you are looking to get one final tune-up against a defensive that has a relatively talented front-seven. After this game, they will start planning for how to attack San Francisco. This is the final time they will be building upon the fundamentals and work they have completed in practice the last few months. The Cowboys have allowed 145 rushing yards per game on the ground this preseason. This is the perfect way to evaluate the Vikings running game. Jerick McKinnon hasn't ran the ball extremely well behind the first-team offensive line. It will be important to see the offensive line block well and all the running backs run well. Not to mention, it will be another week to evaluate T.J. Clemmings at right tackle. He handled his first start relatively well, but it will take consistency to be successful in the NFL. Greg Hardy, Randy Gregory, and DeMarcus Lawrence will all provide a challenge to the Vikings offensive line. This week, Blair Walsh needs to get his swagger back (please click the video below for the audio). He is two-for-six on field goals in the preseason.